“Whether you think you can or can’t, you’re right.” ~Henry Ford. Marissa’s dad was an artistic genius who pushed his passion aside to follow the “safe” corporate route. She watched him come home defeated and uninspired each night. That’s just the way life was. Years later, Marissa found herself following a similar corporate route, ignoring her passion to teach music. Unbeknownst to Marissa, her limiting beliefs were deeply ingrained into her subconscious mind, preventing her from moving forward with any action towards making her career dreams come to fruition. A “limiting belief” is something that you accept about life, about yourself, about your career, about your world, or about the people in it, that constrains you in some way. A limiting belief keeps you safe and small. Marissa’s is one example of how limiting beliefs are born. Let’s take a look at all the factors that could play into your limiting beliefs. Beliefs are conditioned perceptions that are created from old memories of pain and pleasure and how you have interpreted and emotionalized your experiences over time. Your limiting beliefs could be ingrained in your subconscious based on what you read in the media or grew up watching in movies. They could come from what your country, town, or overall culture has instilled in you. Sometimes a limiting belief simply comes from over-generalizing a small bit of data. Most commonly, limiting beliefs are driven by the fear that if we go against this belief, deep needs will be harmed. There is also the social component of fear such as fear of criticism, ridicule, or rejection by others. Recognize any of these nuggets? Here’s the deal. If you remember from one of my earlier articles – thoughts are choices. And it’s your choice to anchor to one of these limiting beliefs. But here is the million dollar question….Is this belief serving you now in achieving your career goal? Or is it hindering your progress? Perhaps it served a purpose earlier in life. In fact, did you know each of your limiting beliefs stems from good intentions to protect you from pain? The issue is that these intentions can be misguided. They may protect you from short-term pain, which unfortunately often leads to long-term pain. 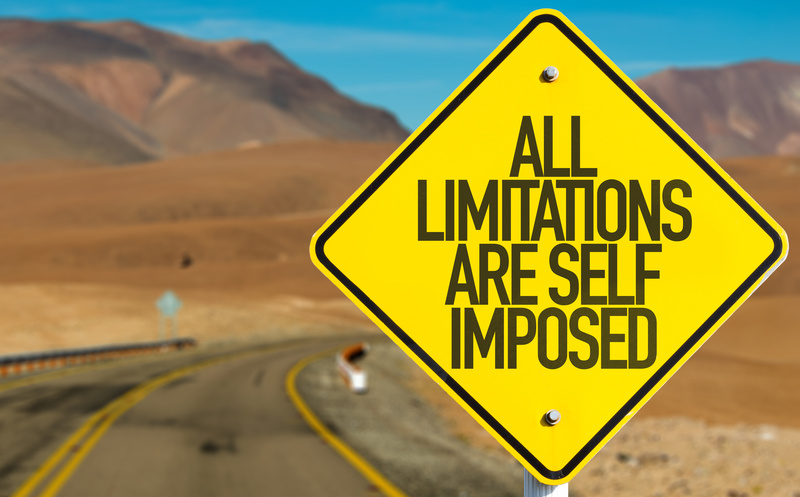 It makes perfect sense, that if you cling to your limiting belief… of course you will not take any substantial action towards achieving your career goal. What resistance are you feeling inside while you think about achieving your career goal? What excuses do you indulge in and why do you make them? What stories do you tell yourself about what you should or shouldn’t be doing, and about what should or shouldn’t happen? Are your standards too low? Why? What assumptions or conclusions are you making about your inability to achieve this goal? 2. How true is that belief, really? 3. What evidence do you have to support that belief? 4. Where did you get that idea from? 5. How has that belief prevented you from achieving your career goal? 6. How has this belief denied you the opportunity to become the person you want to be? 7. Why does that belief have to be true for you? 8. How can you let that belief go? 9. How can you put that into action immediately? Are you reading this thinking YES!! This makes so much sense! But now what? How can I really make this concept really work for me… and take this to the next level?? A 10 page customized report on where you currently are in the thought/feeling/belief spectrum. Whether or not you choose to take advantage of the Get Unstuck Assessment, my wish for you is that this article will help you acknowledge the role your limiting beliefs may be playing in preventing you from achieving your dream career.